Frank Mahovlich played for three of hockey's most storied franchises -- the Toronto Maple Leafs, where he was part of four Stanley Cup teams; the Detroit Red Wings, where he played left wing on a line that featured Alex Delvecchio and Gordie Howe, and in Montreal, where he was part of two Stanley Cup teams. But "The Big M" also was part of one of the oddest collections of players ever put together on any roster in as non-traditional a hockey market as there ever could be. Mahovlich finished his playing career in Birmingham, Ala., with the World Hockey Association's Birmingham Bulls between 1976 and 1978. Birmingham and the American Deep South were not hockey hotbeds, as Mahovlich quickly discovered. "It was different," said Mahovlich of his fondest Birmingham memories. "We did have one snowstorm, believe it or not. It snowed there one day and it closed the whole town. "Birmingham was just great. It was an introduction to hockey down there. They didn't know much about it. They didn't know what a mistake was, it was great for hockey players. I played two years down there." Believe it or not, Hall of Famer Ray Scapinello had a fan in Boston who kept other fans off his back. "Our theme song (in Birmingham) was (Sweet Home) Alabama. It was a good song. The people were great down there. I had a great two years down there. I got injured in '76 and that kind of what ended my career. "Glen Sonmor, it was an experience having him coach too. He is a good fellow, though." Birmingham ended up with a WHA team when Toronto Toros owner John Bassett decided to move his team after two money-losing seasons. The Bulls had Mahovlich, Canadian sports legend Paul Henderson, who scored the game-winning goal in the 1972 Summit Series to give Canada a win against the Soviet Union in the eight-game series, and a young player named Mark Napier who would score 60 goals for the Bulls in 1976-77. Birmingham started off well; the Bulls beat the NHL's Atlanta Flames in a preseason game in the first hockey game in Birmingham's new arena and won the season opener against Houston. But those were the highlights of the Bulls' first season in Birmingham. Mahovlich missed most of the 1976-77 season, and the Bulls finished last in WHA's Eastern Division. Birmingham gave the Bulls decent support for a hockey franchise that was plopped into a non-hockey playing area with an average of 8,000 people per game. Sonmor was named coach for the 1977-78 season and changed the culture of the Bulls, a team that lacked enough skill players to compete with the better WHA teams. The Bulls added Ken Linseman and Rod Langway to the roster before the 1977-78 season, but that wasn't enough, and Sonmor made moves in the hopes of making Birmingham better. The Bulls became a legendary hockey team not because of skill level, but because of the amount of mayhem that they committed on the ice. The team had a Hall of Fame roster of tough guys. 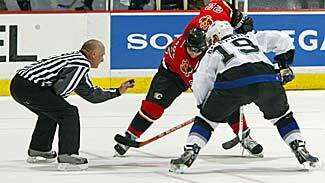 In the NHL, rivalries were pretty clear. All of the Original Six had major rivalries -- Chicago and Detroit, New York and Boston, Montreal and Toronto. Birmingham had no real rivals -- everyone hated them equally. "Our big rival? We never had any rivals in Birmingham," Mahovlich recalled. "Houston. That last year with all the tough guys, everyone seemed to hate us. It was a tough team and there would be a brawl for no reason at all and it would end up in a riot. They'd jump over the boards and go at it." That posed a problem for Mahovlich in one sense. He last posed triple digits in penalty minutes in 1960-61, the only time he did that in his career. The Big M didn't shy away from a fight in his career, but he was also 39 years old with a bad knee. Still, he was a Birmingham Bulls player. "I had a good time and it was a good place to introduce people to hockey, it was a treat," he said of his time in Birmingham. "We had to explain faceoffs, icing the puck, when the whistles blew, offsides, a lot of explanation had to go on. But they caught on quickly and they seemed to enjoy it. We started to get good crowds after a half of year, the crowds started to improve." "Birmingham was just great. It was an introduction to hockey down there. They didn't know much about it. They didn't know what a mistake was, it was great for hockey players." Mahovlich was at the end of his career. He was playing on a line with Dave Hanson and Frank Beaton, neither of whom had the abilities of Gordie Howe and Alex Delvecchio. Still, Mahovlich scored 14 times in his final WHA season. Mahovlich attempted a comeback during the 1979 Detroit Red Wings training camp, but could not make the team and retired. Mahovlich almost played for another one of the Original Six -- the Chicago Blackhawks. In the summer of 1962, Mahovlich and Toronto Maple Leafs General Manager Punch Imlach were far apart on a new contract. Prior to the 1962 All-Star Game in Toronto, which in those days pitted players from the five teams who did not win the Stanley Cup against the defending Stanley Cup Champions, which was Toronto, Chicago Blackhawks owner James D. Norris thought he purchased Mahovlich's contract from the Maple Leafs for an unheard of sum in those days of $1 million. "That's right," he said. "Chicago made an offer and the Leafs turned it down. I was a holdout at the time so it didn't go through." Bobby Hull and Mahovlich would have been teammates. Mahovlich was the first player in North American sports league history whose talents were appraised at $1 million. Mahovlich eventually signed a contract with Toronto and would help the Maple Leafs to a second straight Cup. Toronto would win a third straight in 1964 and another in 1967. Mahovlich returned to Toronto in 1974 with the WHA's Toros and that led him to Birmingham. Mahovlich played for the Bulls in two of the team's three years in the WHA, but he has enough Bulls stories to last a lifetime.